If you live in any normal American city, there is very little actual quiet. My home is on a corner. Even when I lie in my hammock on my back porch, staring up at the trees and the clouds and the hawks floating overhead in the sky, I can hear the sound of traffic at my corner. A leaf blower will inevitably break my reverie. Sometimes I hear the sound of crashes, since my corner is notorious with the state department of transportation and city of Atlanta for being a place dangerous for left-hand turns. Sirens go by – ambulances and police. Only in the dead of night are things actually quiet. When we come to practice yoga, one of the ways that yoga works is by blessing us with actual quiet. When we actually take the time to listen in any American city, we are overloaded with all kinds of sounds. Most of the time, this noise goes on unheeded, and yet it’s in the back of our minds, unconscious, the sound of other people, vehicles, buildings air conditioning and heating systems and all kinds of other activity. The constant noise – whether we realize it or not – overloads our nervous system and adds to our feeling of constant stress. The constant noise and constant stress eventually wear us down. We can hardly hear our inner voice for trying to keep out or keep down the sound of other people. Whether you practice in a yoga class with soothing music or no music, one of things that you will probably notice is an overall sense of quiet. Most yoga rooms have little if any furniture. They feel like empty space. In this emptiness, you can fill yourself up from the inside out, beginning by nurturing yourself with quiet. You can practice a pose, and then take a pause after the pose. One of my yoga teachers years ago said that it’s the pause where everything happens. 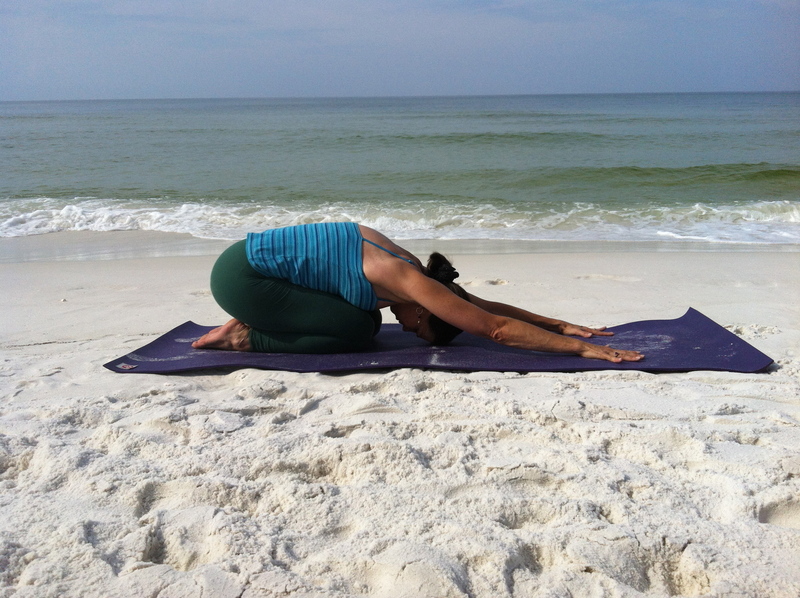 After each yoga poses, even if you are not an experienced meditator, you can drop into a brief moment of quiet. In this quiet, you can feel what you actually feel like. You can feel your feelings, feel your body. And in this space, you can finally allow yourself to relax and let go.